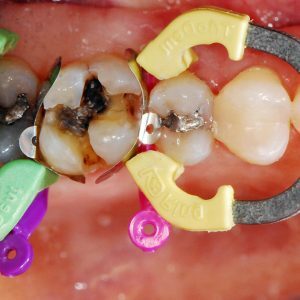 This article reports 2 cases involving patients with anterior erythematous contact lesions that appear to be due to hypersensitivity reactions to orthodontic retainers containing metal alloys. In both cases, the lesions resolved after the removal of the retainers. This article is peer reviewed and available for 2 hours of CE credit. John H. Hardeman, MD, DDS, discusses the classification of diabetes mellitus, medications used for the control of diabetes, and dental management of patients with diabetes. This article is peer-reviewed and available for 2 hours of CE credit. 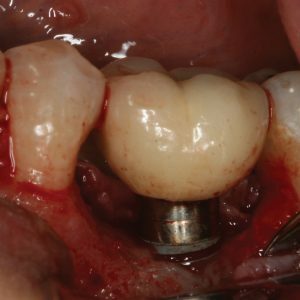 Richard J. Miron, DDS, MSc, PhD; Mark Bishara, DDS; and Joseph Choukroun, MD; discuss the history of platelet concentrates, the current status of platelet rich fibrin (PRF), and clinical uses for PRF therapy in the dental setting. Jason R. Flores, RN, DDS, presents the 4 common vital signs, their accepted normal limits, explanation of the numerical values, and reasons for changing values in the dental setting. This article is peer reviewed and available for 2 hours of CE credit. Learning Objectives: After reading this article, the individual will learn: (1) the 4 common vital signs, their accepted normal limits, and their numerical values, and (2) reasons for changing values of vital signs in the dental setting. Sonali Rathore, BDS, MS; John Svirsky, DDS, Med; and Bhavik Desai, DMD, PhD; describe a patient presenting with unilateral tongue burning who was previously misdiagnosed with burning mouth syndrome. The final diagnosis was poorly differentiated tonsillar squamous cell carcinoma. This article is peer reviewed and available for 2 hours of CE credit. Learning Objectives: After reading this article, the individual will learn: (1) clinical information on burning mouth syndrome and tonsillar squamous cell carcinoma (SCC), and (2) diagnostic criteria for tonsillar SCC versus burning mouth syndrome. 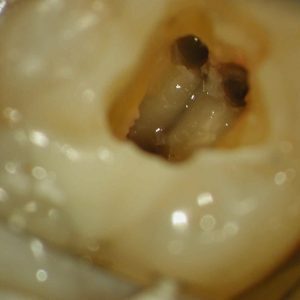 Jason R. Flores, RN, DDS, discusses 7 protective reflexes that patients may demonstrate when undergoing dental treatment. Reflex mechanisms and preventive/management techniques for complications caused by these reflexes are discussed. This article is peer-reviewed and available for 2 hours of CE credit. Learning Objectives: After reading this article, the individual will learn: (1) seven protective reflexes that patients may demonstrate when undergoing dental treatment, and (2) the mechanisms of these reflexes, as well as preventive and management techniques clinicians can use to avoid or address complications caused by these reflexes. Lawrence Gottesman, DDS, describes a supportive literary review presenting arthritis of the TMJ and other joints as an infectious disease. This article is peer-reviewed and available for 2 hours of CE credit. Learning Objectives: After participating in this CE activity, the individual will learn: Evidence-based support for arthritis of the temporomandibular joint (TMJ) as an infectious disease. Elements of inflammation as a vascular event that damages blood vessels supporting the TMJ. Dr. Gottesman builds upon the information presented in part one to provide a solid diagnostic investigative clinical protocol for temporomandibular disorders. This article is peer reviewed and available for 2 hours of CE credit. Learning Objectives: After participating in this CE activity, the individual will learn: The key elements in the clinical diagnosis of temporomandibular disorder (TMD). A diagnostic investigative clinical protocol for TMD. Alison L. Glascoe, DDS, MS, and Ronald S. Brown, DDS, MS, discuss electronic nicotine delivery systems (ENDS), or e-cigarettes, including related regulatory and oral/public health issues. This article is peer-reviewed and available for 2 hours of CE credit. Learning Objectives: After participating in this CE activity, the individual will learn: Cigarette smoking and nicotine exposure is a co-factor for promoting periodontitis. Current status of electronic nicotine delivery systems including regulatory and public health issues. Joseph Yousefian, DMD, MS, MA; Kate Weaver, DDS; Douglas Trimble, DMD, MD; Robert William DePaso, MD; and Robert Gottlieb, DDS; discuss obstructive sleep apnea syndrome and describe a comprehensive and interdisciplinary treatment that successfully addressed the patient?s dentofacial aesthetic concerns and other health issues. This article is peer-reviewed and available for 2 hours of CE credit. Learning Objectives: After participating in this CE activity, the individual will learn: Definition and complications of obstructive sleep apnea syndrome (OSAS). Interdisciplinary treatment, dentofacial aesthetic concerns, and other health issues involving OSAS.